Fleetwood Mac News: Lindsey Buckingham Des Moines, IA Photos + 57 Shows Down... ONLY 4 More To Go! 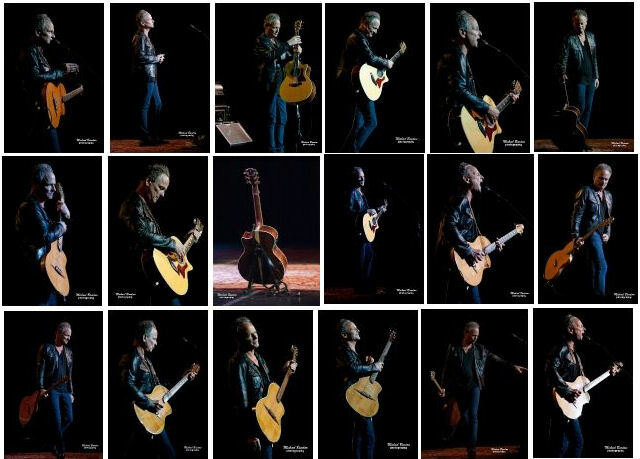 Lindsey Buckingham Des Moines, IA Photos + 57 Shows Down... ONLY 4 More To Go! 57 SHOWS DOWN... ONLY 4 MORE TO GO! LINDSEY BUCKINGHAM'S Solo Acoustic Tour comes to an end this Saturday, September 8th in Rama, Ontario, Canada. At the conclusion, he'll have played a total of 61 shows in 59 cities across North America since he hit the road on May 3, 2012. One US show left just outside of Chicago in St. Charles Tuesday night! There are approx. 30 tickets left for the show... Don't miss it! Great vids! Thanks for posting. I have three that I need to get up to YouTube. Down on Rodeo was actually the first song of the encore. Thanks again for posting these - the Down on Rodeo video is great and will be valuable to others since it was the first time he did it on this tour.